Spring is here, and with it comes the almost irresistible desire for young kids to peer out of windows to see and smell what the season has to offer. Who can blame them, right? But with that desire comes the risk of window accidents, and they happen more often than you imagine and often with grim results. 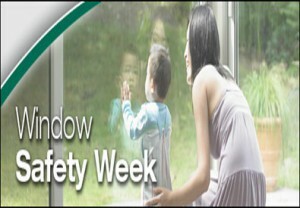 National Window Safety Week runs from April 7th – 13th and Lincoln Military Housing will be participating in the promotion of this week through, increased communication and awareness of child window safety throughout the community. In addition to increased communication and awareness during this very important week we also have added warning stickers to every second story window in our homes. These stickers are there to help remind you and your family of the dangers of windows. Take some time this week to explain to your children what these stickers are for and stop by The National Safety Council’s website. They have some great tips that you can use to teach your family about window safety! We hope these help, and don’t forget to visit your housing office for more information and to get a fun filled Window Safety Coloring Book for the kids!